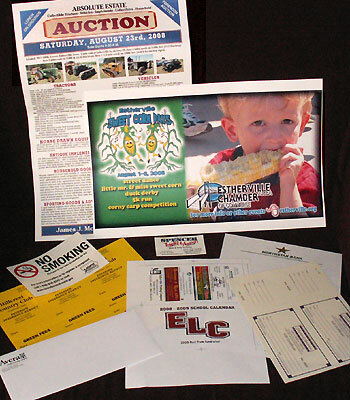 At Estherville Printing we have a long tradition of providing high-quality printing services. 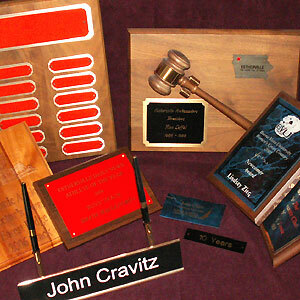 In addition, we offer a complete line of advertising specialties, trophies and awards. Our line of Carlson Craft wedding invitations is the finest available anywhere. Our company slogan is: "If you're not happy, we're not happy. And if we're not happy, you'll never see it." This means that every printed piece we produce here must pass our exacting standards. If a piece doesn't pass, it will be re-done before you ever lay eyes on it. 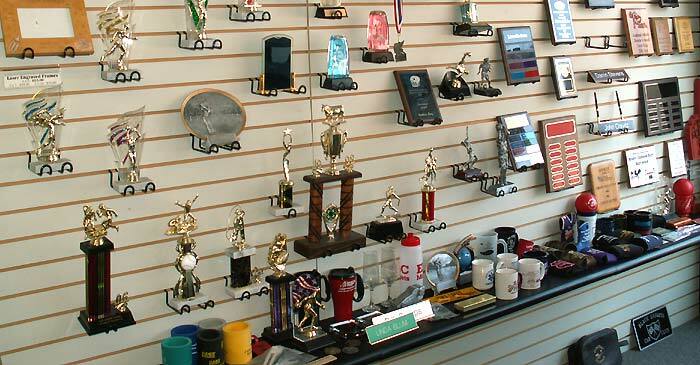 Our goal is always to produce the finest printed materials that you could get anywhere. Items include mugs, can coolers, combs, table covers, screwdrivers, magnets, calendars, sport bottles, pens and pencils. There are thousands of items available. Access our online catalogs of advertising specialties HERE. 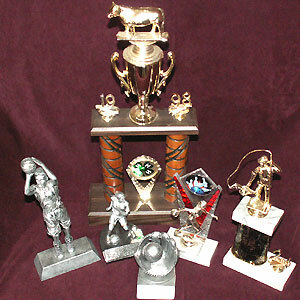 Access our online catalogs of trophies and awards HERE. Access our online catalog of wedding invitations and other wedding items HERE. Print out our wedding checklist HERE. Print out our wedding planner HERE.